Rose Ginther is Chair of the Arts and Cultural Management program at MacEwan. Her experience in arts management includes the Edmonton Symphony Orchestra and Edmonton’s original First Night Festival as well as contract work with various organizations in the Edmonton area. Rose has a BA in History from the University of Alberta and an MA in Integrated Studies – which focused on work, organization and leadership – from Athabasca University. Rose has served on the board of the Edmonton Arts Council and has chaired or participated on many juries and committees with the council over the years. She also participated on a national steering committee with the Cultural Human Resources Council (CHRC) in Ottawa that researched and developed a competency chart for cultural managers several years ago. 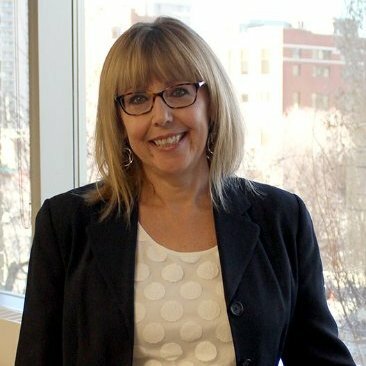 Memberships include the Alberta Museums Association (AMA), the Professional Arts Coalition of Edmonton (PACE), the international Association for Arts Administration Educators (AAAE) and the Canadian Association of Arts Administration Educators (CAAAE) and for which she is currently serving as President. Other community service commitments include the Arts Advisory Council at the Alberta Legislature and various arts juries. Rose has been an active participant in service at MacEwan as well including: faculty member representative for the Faculty of Fine Arts and Communications (FFAC) on the Academic Governance Council, Executive Committee for the FFAC Faculty Council as well as other committees related to curriculum, faculty development and student engagement. Teaching is central to Rose’s position as Chair and her commitment to teaching excellence was rewarded with MacEwan’s Distinguished Instructor Award in February, 2002 and again in May, 2015. Always seeking new learning experiences, Rose continues to take part in faculty development initiatives and is a frequent attender and presenter at Canadian and international conferences related to arts management and arts management education.